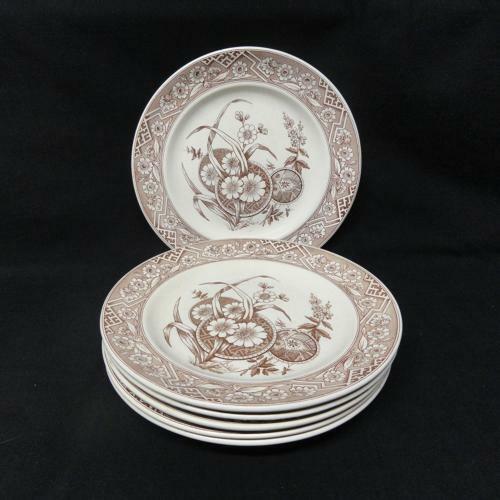 These Victorian aesthetic 9 5/8 " plates are transfer printed in dark chocolate brown. Fabulous Victorian pattern. The plates are in great condition, one has a tiny edge flake.